Value of a Clean Workplace | Crystal Clear Enterprise, Inc. Morning rush, public commuters, elevator rides, meeting people, shaking hands, circulating files, drafts, stationery, coffee mugs, and a dear old pc; what picture does this illustrate in your mind? Bingo, that’s another typical day at work. Now just spare a moment from all other tabs you have opened and realize the surfaces and objects you came in touch with since morning. Everything from your home and all the way to your office is touched, used and dirtied by millions of other people like you ever single day. I know that’s not really news to you. But the gruesome realization will sure fill your mind with all the filthy germs and bacteria you and all others carry along and pass on to each other with every handshake and file exchange. Thus, it is our very own responsibility to keep ourselves and our surroundings clean to ultimately keep the entire workplace clean. A well kempt workplace favorably portrays a good, competent and well reputed organizational image. Customers and stakeholders are more likely to perceive an organization as good and professional if its physical outlook presents a well organized picture, as compared to an organization that appears sloppy, scruffy and congested; retaining the existing clientele and attracting potential customers and partners becomes more achievable. Workforce engaged with an organization that goes all lengths to maintain a proper, professional and organized persona evidently has high levels of productivity and efficiency. They are more dedicated towards their job, hold a high regard, and take pride in associating themselves with the organization. Unkempt, disheveled and poor facilities at workplace create an unmotivated organization culture that can cause fatigue, discomfort and disregard for among the workforce. 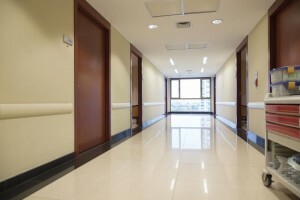 It is important to provide the employees with a clean and professional environment at work since this is the place where they spend one third of their entire day. It has to be well maintained to keep their moral and motivation high. A sanitized and well maintained workplace helps reduce the chance of spreading viral infections and injuries caused due to slips, trips, falls and other unforeseen incidents; thus reducing employee absenteeism due to injury and illness. This in turn ensures a better employee turnout and overall performance and organizational growth. Regular inspection, scrutiny and examination of workplace environment and it systems help identify the problem or issue before it arises and on-time troubleshooting reduces the risks and threats of unforeseen accidents and hazards, which may inflict an emergency otherwise. To sum it up, cleanliness and maintenance of an organization is a compulsion if the organization wants to prosper, grow, and keep its workforce intact with high performance and motivation. The cost borne for this purpose will surely be way too minimal than the expenses to be incurred in case of increasing turn over, absenteeism and low performance rate.